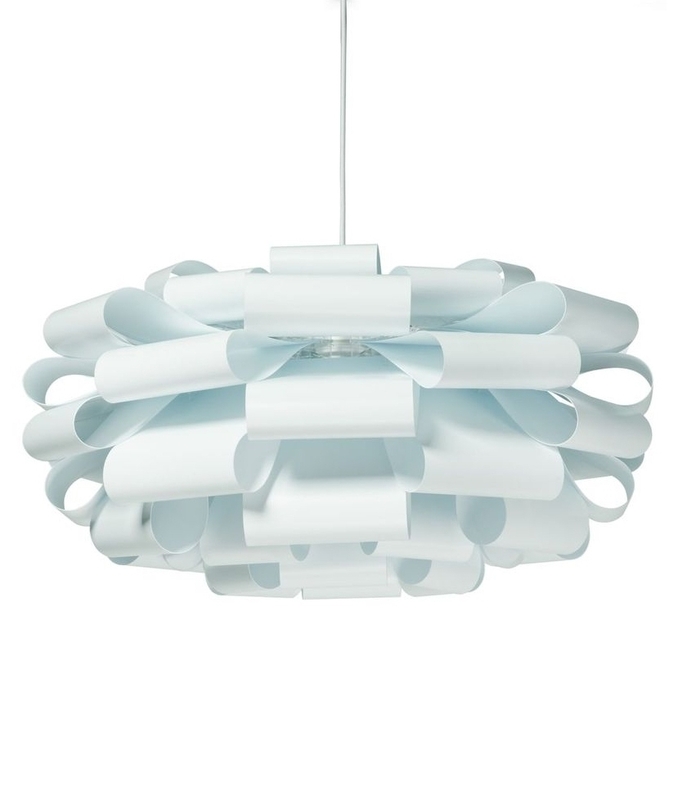 This wonderful pendant features layers of looped shapes made from polypropylene which elegantly curl to form a cloud shape. 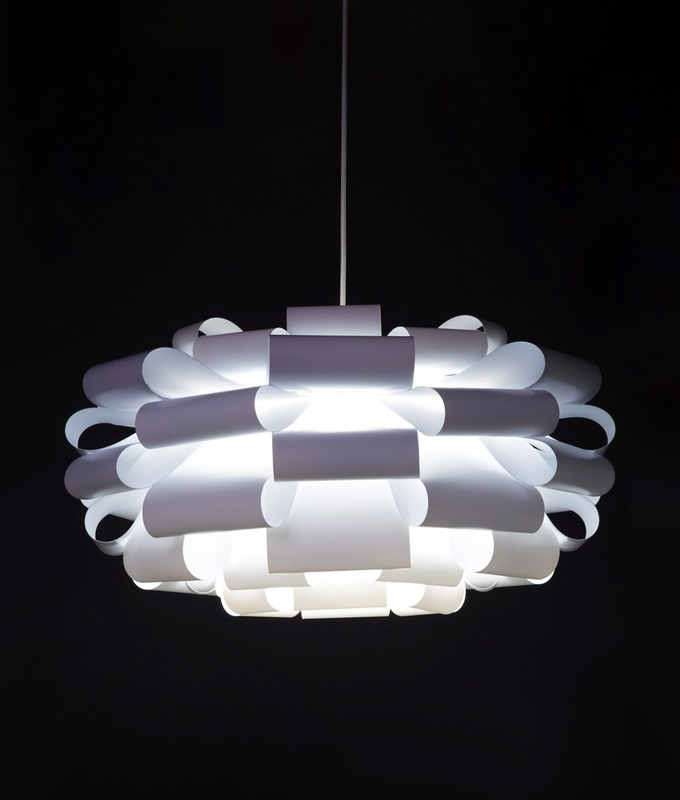 Ideal above your dining room table or seating areas, with an ambient lighting effect. These would look equally as good in a children's nursery or bedroom. Similar in style to the Norm pendants this is an interesting take on a popular design, however this beauty comes complete with ceilng flex! 3000mm flex, which can be adjusted at the time of installation to allow for varying ceiling heights. Designed to be assembled at home and flat packed for safe delivery. With no glue or tools needed this fitting can be assembled in just 15 minutes. What are the measurements of this lamp? It is 300mm high x 600mm diameter.